People are more and more likely to watch online videos with their portable devices like iPhone and iPad, just like Facebook videos, even without WiFi connection. However, we all know that Facebook provides no app to download video from Facebook to iPad for unlimited playback, and it will cost you much traffic if you directly play Facebook videos online without WiFi connection available. Therefore, is there any way to watch Facebook videos offline on iPad? Of course yes. You only need to download video from Facebook and then transfer to iPad device. The content in this guide would show you how to download video from Facebook to iPad tablet in detail. Actually, you could directly download video from Facebook in iPad tablet with the help of Facebook video downloader app for iPad, just like MyMedia, an iOS Facebook video downloading app that could even help you download video from Facebook conversations on your iOS devices. The disadvantages of MyMedia app are that it couldn’t download shared videos from Facebook and it consumes your mobile traffic a lot if you couldn’t get WiFi connection. So, is there any other solution on how to download video from Facebook to iPad? Of course yes. Leawo Video Downloader is what you need. Leawo Video Downloader is a professional online video downloader program that could download videos from 1000+ sites, including downloading YouTube video, downloading VEVO video, downloading Facebook video, etc. As a professional Facebook video downloader program, Leawo Video Downloader tops others in several ways. Firstly, it will list target video in different quality, resolutions, and formats for you to download. Secondly, it features an internal browser that enables you to directly search and play back target video on different sites. Thirdly, it supports multi-task processing. You could download multiple videos at a time. Leawo Video Downloader answers to questions like “how to download a video from Facebook to iPad” quite well. The below content shows you detailed information on how to download video from Facebook to iPad with the help of Leawo Video Downloader. Download and install Leawo Video Downloader on your computer. You need to firstly set the output directory to save downloads. Open Leawo Video Downloader, and click on the wheel icon on the top right corner. Then navigate to the “Downloader > Save videos to” box to set downloading path. Under the “Download” module, copy and paste the URL of Facebook video you want to download into the address bar to search the video. You could play back target video. Leawo Video Downloader lists target video in different formats, quality, resolutions, etc. You need to choose the one you want to download (make sure selected format is applicable to iPad) and then click the download arrow. This video downloader would start to download video from Facebook immediately. 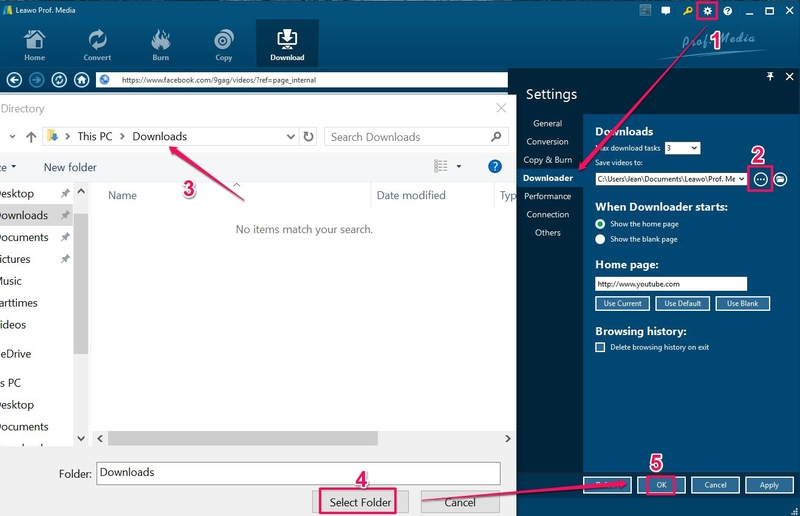 The downloading process would be viewable under the “Downloading” panel, while the downloaded videos will be vailable under the “Downloaded” panel. Not only for downloading video from Facebook to iPad, Leawo Video Downloader could also help you download Facebook video to Android and other iOS devices freely as you like. Note: If you happen to download video from Facebook in formats that are not accepted by iPad, you could right click the downloaded video and then choose “Add to Convert” button to How to Transfer Facebook Video to iPad with Leawo iTransfer. After downloading video from Facebook to computer, you need to transfer downloaded Facebook video to iPad. We know iTunes would finish the transfer quite well. However, it will rewrite the existing files on your iPad. Therefore we get a replacement. That’s Leawo iTransfer, a professional iOS data transfer app that could easily transfer data and file between iOS devices, iTunes and computer, without any influence upon existing data and files. You could even transfer video from PC to iPhone and vice versa with this iTransfer. 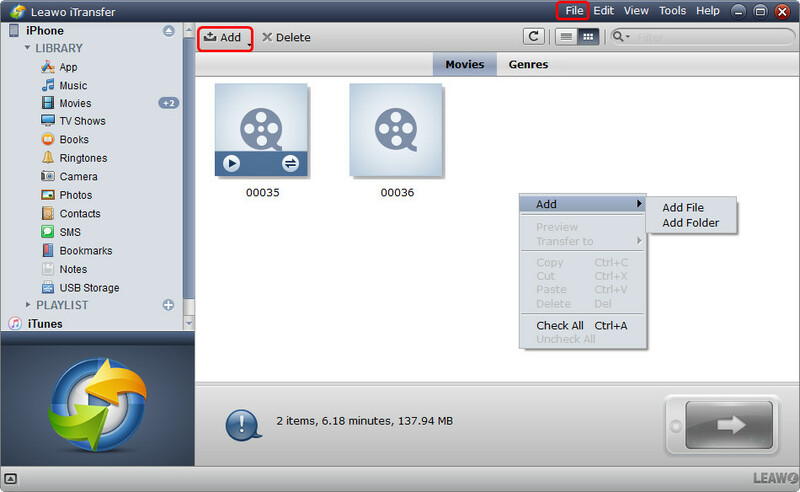 The below steps would show you how to transfer downloaded Facebook video to iPad with Leawo iTransfer. Launch Leawo iTransfer and connect your iPad to computer via USB cable. On the left sidebar, you could see all information on your iPad. Open “iPhone > LIBRARY > Movies” tab. 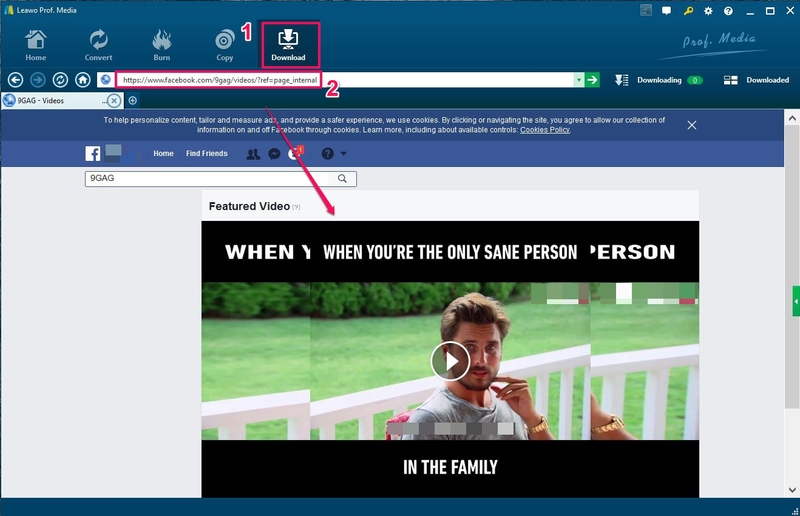 Click “Add > Add File/Add Folder” option to add Facebook videos you just downloaded with the help of Leawo Video Downloader. Leawo iTransfer would start to transfer Facebook videos to iPad immediately you’ve just downloaded. When the transfer completes, you could then freely watch downloaded Facebook videos on your iPad. It’s really easy to download video from Facebook to iPad with the help of Leawo Video Downloader. Now you’ve learned how to download video from Facebook to iPad. Don’t you think it’s easy?